Offering a seasonal outdoor pool, Cockerham Sands is set in Cockerham. Blackpool is 21 km away. 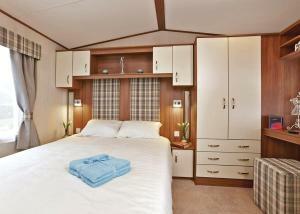 The accommodation is equipped with a dining area and seating area with a TV. There is also a kitchen, fitted with an oven and toaster. See all Cockerham Sands reviews..